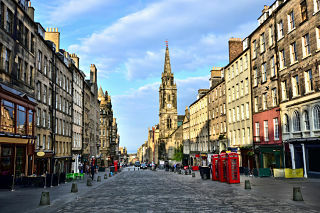 This street is the epicentre of any visit to the city, stretching as it does from Edinburgh Castle to the Palace of Holyroodhouse. Its name, obviously, is derived from its length: a Scottish mile at 1.8km. On both sides of the street one can find various establishments, lane ways or "closes" and courtyards. 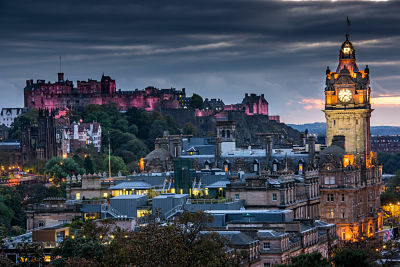 The Royal Mile is divided in two ends and it is the Castle end, the most elevated, where one finds the Esplanade, scene of the celebrations for various festivals. 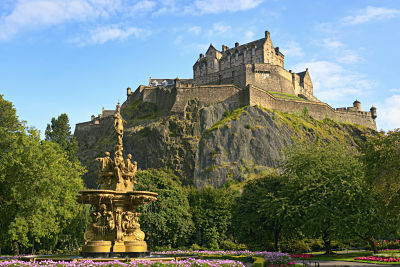 This fortress is one of the icons of the city, rising majestically above Castlehill. Access is by the Royal Mile and it has several corners of note within and offers breathtaking views of the city. Every day, except Sunday, the cannon is fired at one o'clock sharp, as is tradition since 1861. One of enigmatic Edinburgh's icons, this close under the old town of the Royal Mile was closed for many years before being opened to the public in 2003. The close is really a gateway to the underground city, where poverty, pestilence and misery reigned in the 16th and 17th centuries. Thanks to its darkness and the damp environment, we can feel how those people lived and hear all of their tragic stories. While it is in no way frightening, those of a claustrophobic disposition might take note.